In order for a profession to be valid it must have processes in place to: educate its members, provide training and test their comprehension of the profession’s body of knowledge. The professional domain must also have a governing entity to accredit and police the validation process and to instill ethical behaviour amongst its members and continued education at a minimum. In most cases once a member has served their internship and proven competence they receive credentials and are granted membership rights in the professional society (see fig. 1). This is the idea anyway. Unfortunately for the profession of Interior Design it is my opinion that we have failed at establishing a singular governing body that is recognized as the symbolic home, or headquarters, of the professional domain. Essentially we are unable to regulate our own profession. We are forced to rely on the government to tell us who is qualified and who is not (see Fig. 2). Currently we must split our allegiances between two (and more if you wish) diametrically opposed (on the same circle but opposing sides) professional organizations. Neither of these organizations have official credentialing rights (even though they may claim to) to the profession at large and both fail to self regulate effectively. Many professional interior designers become members of both IIDA and ASID to promote their professional status. Unfortunately membership in either ASID or IIDA is not widely accepted as the threshold of professional status. 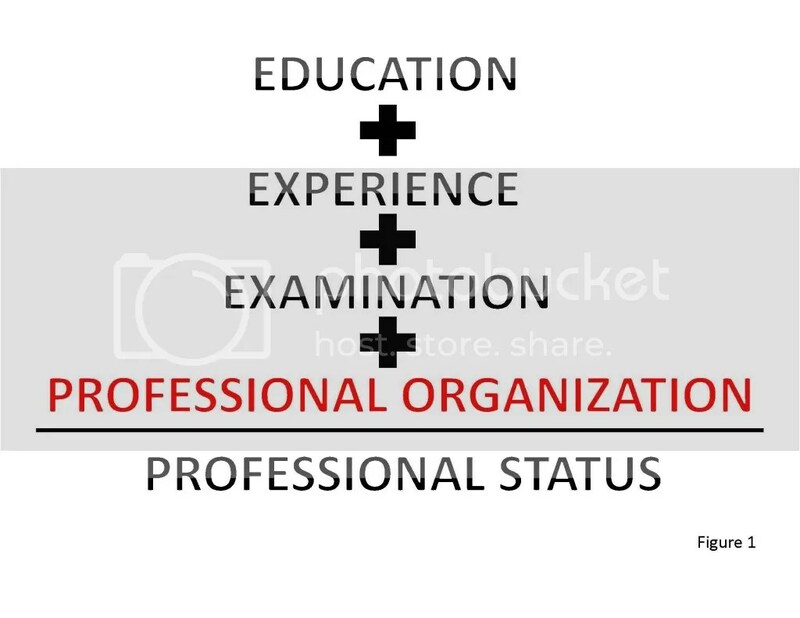 Membership in either, or both, organization is not only expensive but they do not offer legitimate professional status other than a meaningless acronym. Got that? We rely on the government to regulate our profession when we are more qualified and actually ethically and morally obligated to police our own domain. We can do this people. It is not hard and we don’t have to abandon the issue of regulating practice, in fact it will simplify the process. Huh you say? Stick with me. Given the current model of demanding government regulation without a full understanding of what we are calling ourselves or if we are protecting our right to practice or the Health, Safety and Welfare of the public, we find that most states will happily take our money to tell us who is qualified and who is not but only 3 to date have gone so far to tell us who can practice and who cannot. In other words we ask for practice regulation and we end up with title regulation. WELL DUH!!!!!!!!. 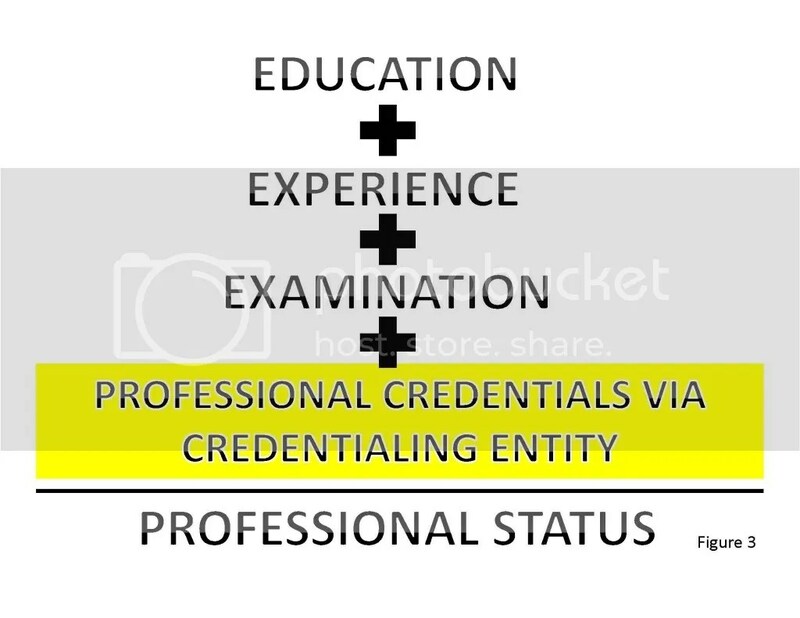 We need to create an official credentialing and accrediting entity, trademark and copyright the credential and require all those who pass the NCIDQ to enlist in order to receive the credential and official professional status. Everyone who passes the test and serves an apprenticeship becomes either a “Certified”, “Accredited”, “Registered”or “Professional” Interior Designer- I frankly don’t care what we call ourselves as long as call ourselves something (P.S. the acronym “C.I.D.” is already spoken for by the Certified Interior Decorators…I am not making this up). An official logo is created and trademarked and only those who meet the requirements of professional status and comply with ethics and continuing education requirements are allowed to use the acronym. Our by-laws and membership qualifications are copyrighted. All posers and pretenders are sued in civil court. Uncle Sam has no say in the matter. We keep all of our dues and fees and we have control over our professional destiny. See Figure #3 if all that is too verbose. Whew! Regulating ourselves has several benefits. 1. It acknowledges that we are not interior designers but “registered” interior designers. We are no longer forcing “interior designers” to be required by law to become “licensed”. “Interior Designers” can stay mere interior designers- no harm no foul. Becoming “registered” is a private civil choice. Nobody is forcing anybody to do it. 2. Maintaining “registered” status across the nation provides a common framework for the profession. No more acquiescing to the oddities of state regulation and titling quirks. 3. “Registered” interior designers will be equally qualified to perform within residential and commercial environments. There will be no distinction between residential interior design and licensed designer able to perform contract/commercial work. As I have said we must not let government regulation create an occupational schism between residential designers and commercial designers. A dilemma I am not sure proponents of “licensing” are aware of. 4. “Registered” Interior Designers will be able to promote their brand as unique, distinct and better suited to perform true “interior design” services. We will not have to rely on ASID or IIDA to provide public relations services. 5. 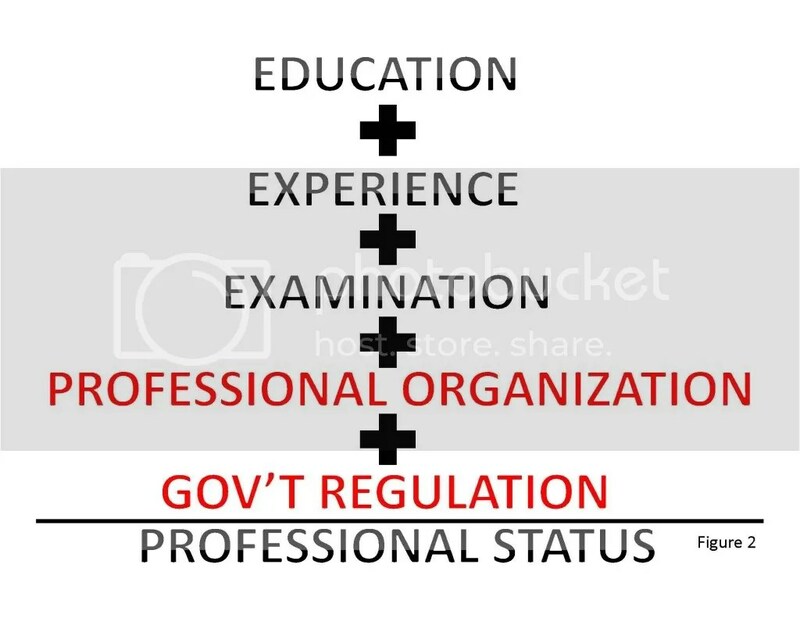 Over time we will be able to better position ourselves for pursuing government regulation (should the profession deem it necessary) because we will have already established a nationwide level playing field of “registered” professionals….this will not become the government’s job to manage. We can in fact focus on licensing our unique right and qualification to promote and protect the Health Safety and Welfare as well as improving the lives and livelihoods of the public. So those are a few positive outcomes of self-regulation. I am more than willing to hear any negatives. Bring ’em on!